Title: 'Sinus Persicus'. Issued Basel, 1579 by Henri Petri for Pomponii Melae de Orbis Situ. 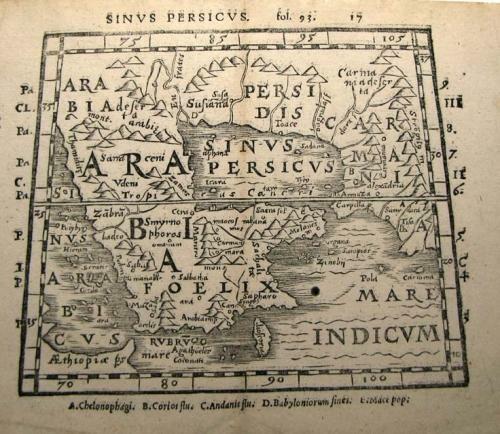 A very rare Ptolemaic description of the Middle East.